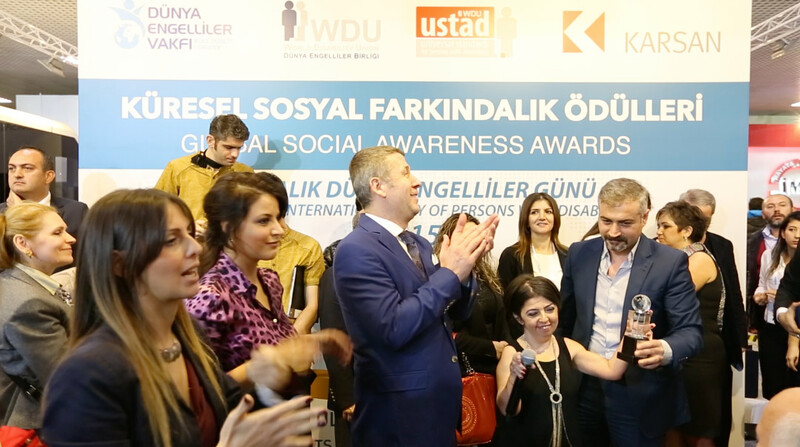 The first “Global Social Awareness Awards”, organised by the World Disability Foundation and the World Disability Union on 3 December 2015 to mark International Day of Persons with Disabilities, were presented to nearly 30 individuals, institutions and organisations for pioneering work in the name of accessibility by a range of artists. 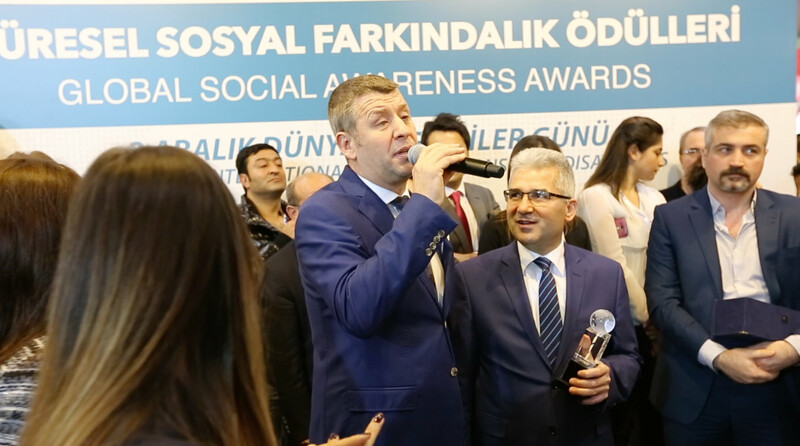 Speaking at the ceremony Foundation and Union President Metin Şentürk said, “No one else should play the leading role in your life, there is no reason that as disabled people we cannot be developing, productive people, take the starring role in your own life”. 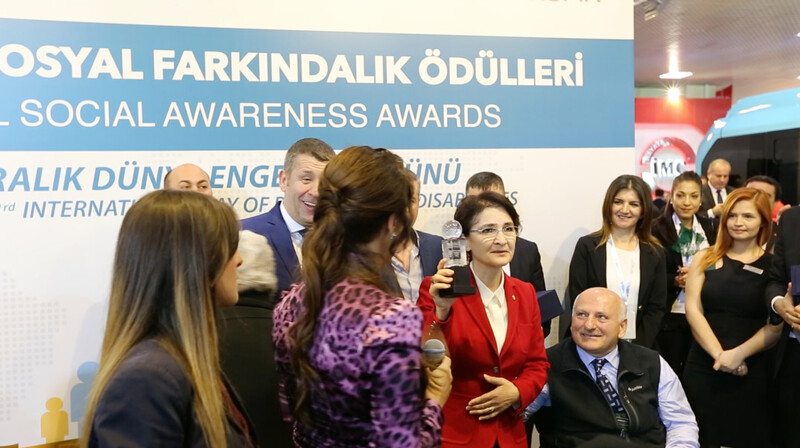 Attending the ceremony Ercan Saatçi, Zara and Engin Altan Düzyatan hoped that the awards given on “Disability Day” would increase awareness. 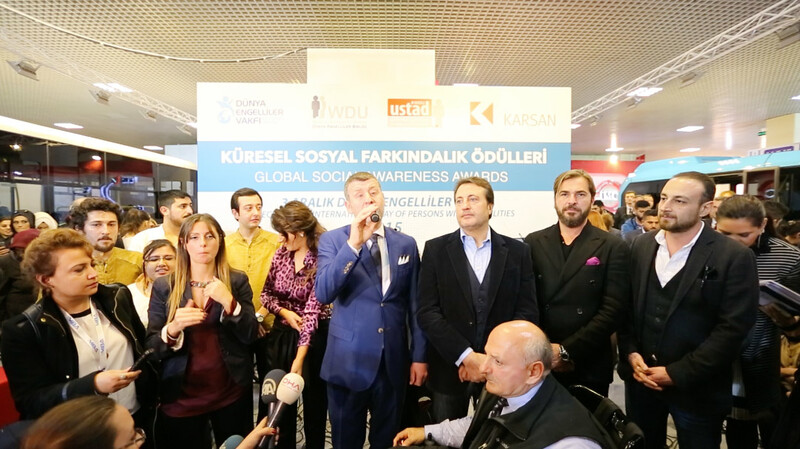 Before the ceremony Kartal Municipality Hearing Impaired Orchestra gave a short concert. Their rendition of “Hekimoğlu” folk song, accompanied by Zara, offered a unique musical experience to guests. 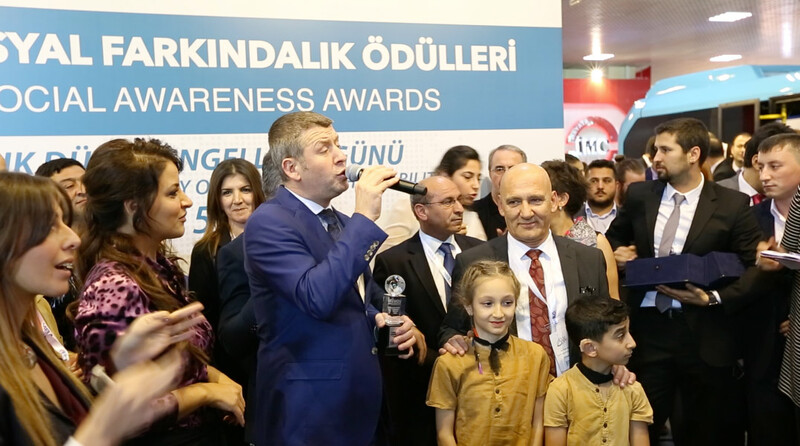 After the mini concert and awards ceremony, at the stand where awards sponsor Karsan Automotive exhibited their new accessible model car, guests and Foundation President Şentürk tried out the accessible car. The event was held on the first day of the Barrier-Free Living Fair (EYOF), which continued until 6 December.